Fat Quarter Shop's Jolly Jabber: June 2016 Monthly Picks! Hello everyone! Here are our monthly picks for June. 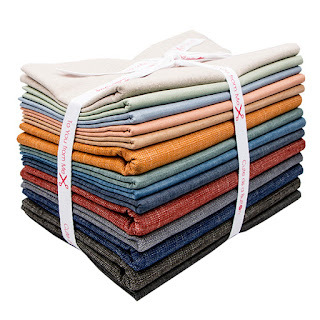 They are all 20% OFF so treat yourself to some quilty treats today! This month it's all about the DENIM! We've got a variety of beautiful denims from Art Gallery Fabrics in stock, and are shouting it out for the world to hear. 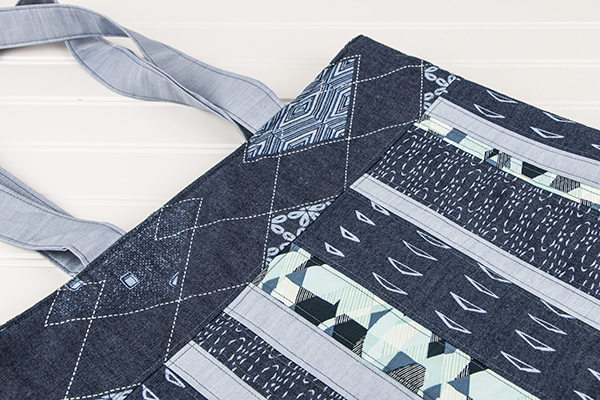 In fact, we're so excited about this fabric that we're hosting Denim Week on our Jolly Jabber blog! What's so amazing about this denim? Most of it is soft, drapey, and quiltable. Some of the denim is dense and extra durable. 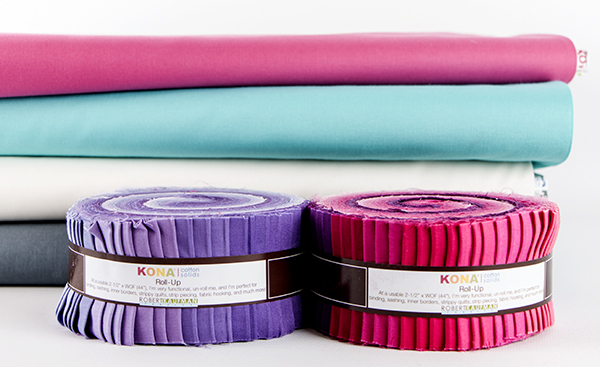 ALL of it is amazing to sew with, so give it a try today - at 20% off! Amy Sinibaldi is amazing. 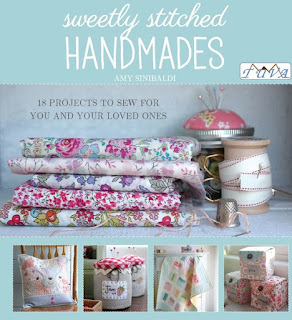 Not only is she a talented quilter and a fabric designer for Art Gallery Fabrics, she's also the author of Sweetly Stitched Handmade! Add this beautiful book to your quilty collection - it's something you'll reach for again and again! The Pattern of the Month? The Becca Bags pattern by Lazy Girl Designs! 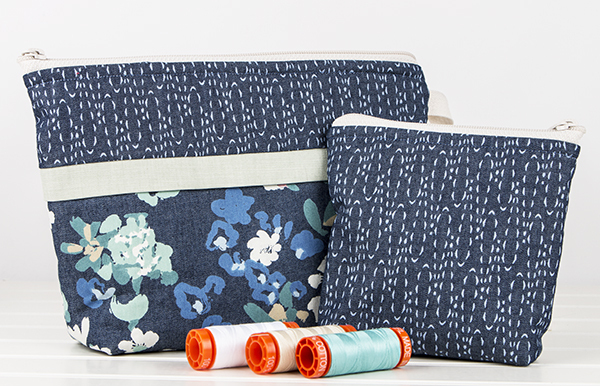 This pattern yields two darling bags that you can use to hold anything from sewing supplies to cosmetics, and the completed bags make wonderful gifts too! Aren't these Becca Bags sweet in denim? Zippers are a great notion to have at the ready, and this month our zippers are 20% off as well. 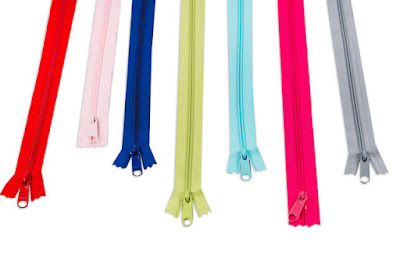 And when you're ready to sew those Becca Bags you'll need zippers, so why not stock up now while they're on sale? We hope you love our June 2016 Monthly Picks, and hope you enjoy the month-long discounts too! 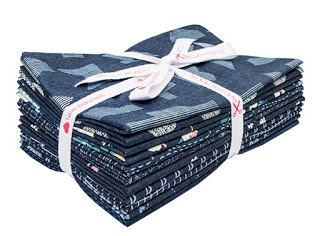 Be sure to head over to our Denim Week page for lots of inspiration on what to do with these fabulous fabrics. Happy Quilting!